This has has sealed cap which prevents from drying and contains a tip for good ink flow. 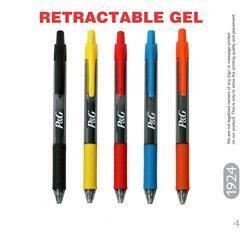 Leveraging on our infrastructure facilities, we are able to offer a wide gamut of Metallic Gel Pen. As per the existing market trends, our skilled professionals design this pen by making use of advanced technology and high quality raw material. A very contemporary and world class styling that's available in 4 attractive ink colors and writes approx 200% more than a Gel pen. A world class pen packed with advanced roller technology for super soft writing pleasure that's ideal for students and professionals and the best in its class. 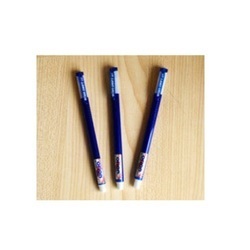 We are the best provider of Gel Pens which are advanced in pattern. We offer Gel Pens at very reasonable prices to our clients.